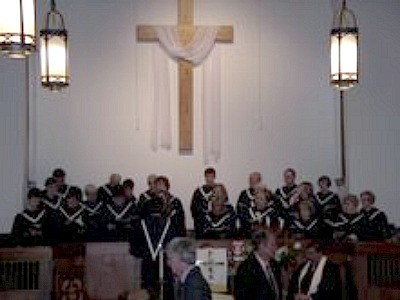 The mission of the music department of Hartwell First United Methodist Church is to enhance the worship atmosphere through the inspiring lyrics and instrumentation of classic religious musical presentations along with contemporary compositions of praise and worship at the weekly services and throughout the year at cantatas and special music offerings. The music department offers the opportunity for children, teens, and adults to serve the Lord, using the talents He has given them, to exalt Him, and to spread His message of love, hope, and good news. Please call the church office (706-376-3164) for upcoming events and rehearsal dates and times!